Summary: Is soy a smart food to include in a healthy diet? Just how safe is soy? Are the fears justified? We’ll answer very simply: soy is an excellent food to include in one’s diet. However, we present one warning right here at the beginning, to make sure you don’t miss it: avoid it if it’s genetically modified. We recommend reading Amazing Discoveries™ article about genetic modification in our health section, to learn more about this caution. The good news is that not only is soy safe when properly processed, it’s actually beneficial when used in moderation—meaning you should get a good variety of nutrients by varying your diet. Soy is actually an ideal protein source. Plant-based protein does not carry with it any of the negative consequences that animal-based protein does. Soy’s protein content is not a strong argument for eating soy, though, because people get enough protein just by eating a varied diet of whole foods. A better argument for soy, and one that has caused quite a bit of confusion, is that soybeans contain phytoestrogens. Phytoestrogens are plant estrogens, which are not to be confused with human estrogens, although they frequently are. How do we get enough phytoestrogens such as genestein? Ground flax seed has the highest genestein content. “In an Australian study conducted at the Royal Women’s Hospital in Melbourne, postmenopausal women experienced a 5% increase in bone mineral content when they ate 45 grams of soy grits every day for three months.” He pointed out we should be encouraged by the fact that the estrogen receptors most favored by phytoestrogens are those in the brain, bone, and breast. It is those areas where soy’s benefits are greatest, but one should not discount its positive effect in other areas, as well. Finally, Professor Veith notes that “rats fed carcinogens and complex carbohydrates show lower incidence of breast cancer than rats fed carcinogens and simple sugars.” Soybeans are among the many complex carbohydrates available to us. Koreans, among others, have been eating soy for centuries. However, it is not eaten in the quantities consumed by those looking to replace meat in their diets with equal amounts of something else. Soy is an integral but small part of the Korean diet. Interestingly, Korean women don’t experience menopausal symptoms as Western women do. It bears repeating that the closer the food is to the original condition it was in when harvested, and, when dealing with fresh fruits and vegetables, the sooner it’s eaten after it’s harvested, the better the food is for the body. Tofu and other soy products are partially processed; we do not discourage their consumption, but we do suggest variety in foods and increasing the use of whole foods. As always, it is wise to read labels to see if any additives would make purchase of a processed food inadvisable. Some soy milks, for example, have sugar and other “flavor enhancers” added. We warn concerning hexane, a neurotoxin used in the production of soy meal (flour), soy grits, soy oil, and soy protein (as in TVP, or in soy protein isolate or soy protein concentrate). Hexane can be found in soy bars, health food bars, many vegetarian products, some soy milks (many Silk soy products, for example), and even in baby formula. These products are made with soy bean flour, which is chemically treated with hexane. Enough traces of hexane remain to cause health warnings. If you use a lot of soy milk, you might want to consider purchasing a soy milk maker and your own organic beans. It is actually very easy to make your own soy milk. There’s also confusion as to whether soy phytochemicals cause dementia. A closer look at the research on which such claims are based can resolve that issue in a way that is consistent with other research findings in this report. A study that investigated the quality of the research study that came up with that warning reported that Dr. Messina found that "in this study [the one claiming a link to dementia], tofu consumption 2 to 4 times per week was classified as high intake. However, the HAAS had several design weaknesses. For example, the intake of only 26 foods was assessed. Nowadays, it is common for epidemiologic studies of this type to assess the intake of at least 100 foods. By assessing the intake of so few foods it is very difficult to control for potentially confounding variables. Perhaps tofu intake was associated with cognition because of dietary habits common to tofu consumers and not because of tofu consumption per se. Also, the intake questions pertaining to tofu differed from one time point to the next so the authors had to devise a somewhat convoluted method for classifying men based on different intake responses." There were just too many design flaws to take the HAAS study as gospel. So what about other research that examines the possible connections between soyfoods and dementia? Dr. Messina describes another study that indicated tofu to be the cause of cognitive problems, but the real culprit was probably formaldehyde. "One other recently published epidemiologic study raised questions about soy and cognition. This was a small Indonesian study carried out in 2 rural sites (Borobudur and Sumedang) and 1 urban site (Jakarta) among mainly Javanese and Sundanese elderly (n = 719, 52 to 98 years of age). High tofu consumption (at least 9 times/week) was associated with worse memory. The authors speculated that isoflavones might be responsible for the association. However, high tempeh (a fermented whole soybean product) consumption was independently related to better memory particularly in participants over 68 years of age. Tempeh is also very high in isoflavones. The paradoxical findings (two soyfoods high in isoflavones having opposite effects) are likely due to the fact that according to the Departments of Public Health at the Universities of Jakarta and Yogyakarta, formaldehyde is added to tofu (but not tempeh) to preserve its freshness. Formaldehyde causes memory problems in animals. Of course, formaldehyde is not used as a food preservative in the United States." Another study showed no affect of soy on brain function at all. "In contrast to the Hawaiian and Indonesian studies, a cross-sectional study, which included 3999 men and women aged 65 years and older from Hong Kong, found that isoflavone intake was unrelated to cognitive function as assessed by the cognitive part of the Community Screening Instrument for Dementia." So no published studies successfully back up the claim that soy shrinks your brain or causes dementia. Rather than being harmful, could there possibly be cognitive benefits from eating soy? Maybe for some women. Dr. Messina continues, "Finally, and even more importantly, the 10 clinical trials that have examined the impact of isoflavone-rich products on cognitive function actually suggest that at least in younger postmenopausal women, isoflavones favorably affect several aspects of cognitive function." The primary originator of warnings about soy seems to come from the Weston A. Price Foundation and, in lesser degree, smaller organizations which rely on the same flawed information. It is wise to investigate what the foundation advocates, and the basis for their advocacy. What is the credibility level? Sally Fallon is the founder of that foundation, having been impressed with the nutrition research of dentist Dr. Price. She is also author of Nourishing Traditions, in which she recommends animal fats and cholesterol, among other things, as necessary elements of a healthy diet. This is quite contrary to the Biblical counsel of Leviticus 3:17: “It shall be a perpetual statute for your generations throughout all your dwellings, that ye eat neither fat nor blood.” In her book and lectures, Fallon also recommends “traditional” fermented foods, yet every mention of fermentation in the considerable health writings of Ellen White is in the context of warning due to harmful impact to the digestive system, not commendation. Most telling, perhaps, is that much of the Weston Price Foundation’s recommended diet is in stark opposition to the conclusions drawn from The China Study, which is the largest, the most comprehensive study ever done on the correlations between diet, disease, and mortality. It was carried out in China, where there is up to a one-hundredfold difference in cancer incidence among different locales. Cancer is a localized disease in rural China, present in one village but totally absent in another village. Diet is the differentiator. 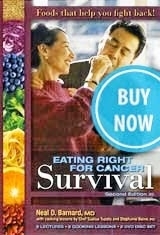 In the US, however, where we tend to eat the same things nationwide, cancer is regarded as a national affliction. Indeed, in the US we have only a twofold difference in cancer incidence between different areas. The New York Times called The China Study the “Grand Prix” of scientific investigation into nutrition and disease. Its findings are almost impossible to refute. T. Colin Campbell, the project’s coordinator and author of the book The China Study,viii reports the study’s startling finding of a linear relationship between consumption of animal foods and disease states. As the consumption increases—even in small amounts—so does disease. But the higher the level of antioxidants in the blood, which is obtainable only from plants, the less disease there was. The point being made here is that the main opponent of soy and soy products is a foundation whose dietary recommendations, which emphasize significant consumption of full-fat animal and dairy products, leave much to be desired and often run markedly contrary to predominant research findings indicating the deleterious effects of consuming a diet rich in foods of animal origin. One must be most cautious before embracing any other nutritional advice they might offer. In summary, soy is a beneficial nutrition source for both humans and animals. The cautions revolve primarily around genetic modification, hexane use in processing, the importance of dietary variety, and highly-processed soy products. i. David Dahlman, DC, “Putting Soy in Accurate Perspective,” Today’s Chiropractic (March/April 2005). ii. John McDougall, The McDougall Newsletter (April 2005) 1.
iii. 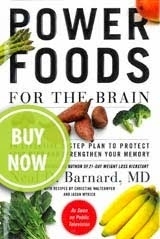 UC Berkeley Wellness Letter, November 2002.
v. Shereen Jegtvig, “Soy and Soyfoods Do Not Cause Dementia,” About.com: Nutrition (June 26, 2009). vii. T. Colin Campbell, The China Study (Dallas: Benbella Books, 2005).